Previously sold in these Rooms, 30 April 2001, lot 697. 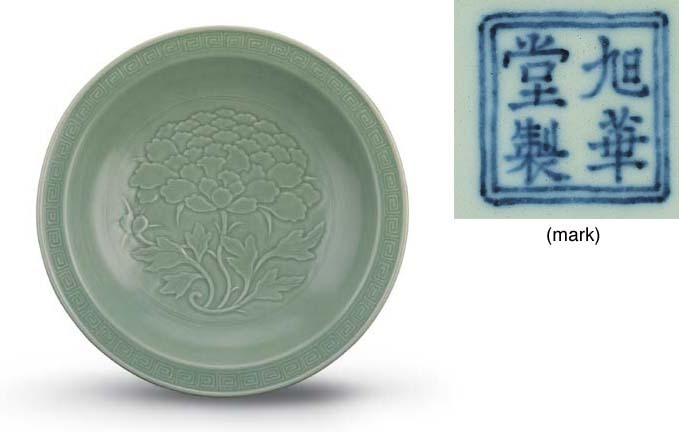 No other ceramic bearing the Xuhuatang zhi hallmark appears to have been published, although a vessel inscribed with the four-character mark Xuhuatang cang, 'Treasure from the Hall of the Bright Rising Sun', has been published and dated to the Qianlong period by Geng Baochang; see Ming Qing Ciqi Jianding, Ming and Qing Porcelain on Inspection, 1993, p. 348, pl. 5.